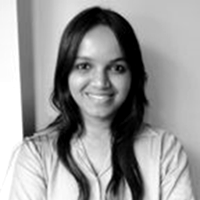 Saipriya Iyer currently works as a content developer for AlgosOnline. A computer engineer by profession, she ventured into the field of writing for the love of playing with words. Having had a previous experience of 3 years under her belt, she has dabbled with website content writing, content auditing, tech writing, promotional writing, business writing, editing, research, copywriting, copyediting, and content visualization. Her hobbies include reading, music, and cooking.